Discounted Rooms Still Available. Book Today! 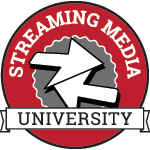 Meeting & Travel Consultants, Inc. (MTC) is the official housing provider for Streaming Media West. Discounted guest room rates of $269 for a single/double room (plus applicable taxes and fees) at the Hyatt Regency Huntington Beach have been arranged for attendees who book through Meeting & Travel Consultants, Inc. The discounted rates are exclusive through MTC only and will not be extended by the hotel directly. Rates will remain in effect until October 7, 2016, subject to availability. Early booking is suggested. Credit card information is required to confirm all reservations. Hotel requires one night deposit at the time of reservation refundable up to 48 hours prior to arrival. All credit cards used to prepay will be charged immediately. Rate does not include a $15 resort fee. Resort fee will be added to your folio at guest check-out. Important Note: Meeting & Travel Consultants is the official housing provider. In the event you are contacted by another hotel/housing bureau soliciting hotel reservations for this show and/or asking for an advance deposit paid directly to the agency, please note that they are unauthorized agents and unable to provide the discounted hotel rates that are offered by MTC to those attending. The rates noted above are exclusive through MTC only and will not be extended by the hotels directly or to agents other than MTC. Hyatt Regency Huntington Beach Resort & Spa offers several parking options for guests' convenience. Pricing is subject to change without notice. Self-parking is available across the street at Huntington Beach City Parking. Overnight parking is available; however, cars must be parked by 9:00 p.m and obtain an overnight parking pass from hotel valet. Cost is $15.00 per day. Exit Airport on Airport Way To I-405. Take I-405 North towards Long Beach. Exit I-405 N at Beach Blvd. Merge towards Huntington Beach. Continue on Beach Blvd 5.7 miles resort on right hand side. Our hotel is ahead. Exit Airport on E. Donald Douglas Dr. Turn right on N. Lakewood Blvd. Turn left on E. Willow St. Take the I-405 South towards San Diego. Take Beach Blvd. exit towards Huntington Beach. Turn left on Center Ave. and right on Beach Blvd. Continue on Beach Blvd. 5.7 miles. Hyatt Regency Huntington Beach is on the right. Exit Airport towards Century Blvd. Take S. Sepulveda Blvd. to the I-105 East ramp towards Norwalk. Merge East on I-105 towards I-405 South towards Long Beach. Take I-405 South to Beach Blvd towards Huntington Beach. Turn left on Center Ave. and right on Beach Blvd. Continue on Beach Blvd 5.7 miles resort on right hand side. Our California resort is ahead. Follow I-5 North toward Los Angeles. Merge onto CA-73 N toward Long Beach (portions toll), and take the Bison Ave exit #13. Turn left onto Bison Ave, then turn left onto Jamboree Rd. Turn slight right onto East Coast Hwy / CA-1 N/ Pacific Coast Hwy. Continue to follow CA-1 N / Pacific Coast Hwy. Hyatt Regency Huntington Beach is ahead. Follow I-15 S toward Los Angeles (crossing into california). Merge onto CA-91 W, toward Beach Cities. Merge onto CA-55 s via exit 34 on the left toward Newport Beach. Take the CA-1 N / CA-1 S exit toward Long Beach / San Diego, ten turn right onto W Coast Hwy / CA-1 N / Pacific Coast Hwy. Continue to follow CA-1 N / Pacific Coast Hwy. Our hotel is ahead. Super Shuttle provides service to the Hyatt Regency Huntington Beach Resort and Spa from all major area airports. Book online at www.supershuttle.com or call 310-782-6600. Taxi service from LAX to Hyatt Regency Huntington Beach is approximately $90 - $120. Please note all travel information is taken directly from the hotel website and is subject to change without notice.